Ambassador Felipe Morandé took up his duties as Permanent Representative of Chile to the OECD on 10 July 2018. Mr. Morandé holds a Ph.D. in Economics from the University of Minnesota (1983). He then served as Associate Professor of Economics at the ILADES/Georgetown University Graduate Program in Economics (mid-1980s -1997), where he also acted as Chairman (1990-1996) and Director of TASC (1990-1997). He became, in 2006, Dean of the School of Economics and Business of the University of Chile, after having served there as Professor of Economics since 2002. Mr. Morandé was Secretary (1990-91) and President (1991-92) of the Latin American Standing Committee of the Econometric Society, and from 2003 to 2004, he was the first President of the Chilean Economic Association. Previously, and from 1997 to 2001, Mr. Morandé was Director of Studies and Chief Economist of Chile’s Central Bank. Then he was Chief Economist of the Chilean Chamber of Construction (2002 – 2006). In 2002, he created Grupo de Política Monetaria, a shadow “Central Bank Board” to monitor Chile’s Central Bank monetary decisions. He stayed as a member of this board for four years. From 2007 and until early 2010, Mr. Morandé was advisor to Banco de Santander and in the last fourteen years he has served as director in many corporate boards, some of them open – listed in the stock market - and in several non-for profit organizations boards as well. In 2013 and until April 2014, he was a member of the recently created Consejo Fiscal Asesor, named by the President of Chile. In 2010, Mr. Morandé was Minister of Transport and Telecommunications of Chile. 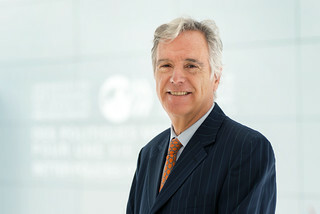 Prior to his nomination as Ambassador and Permanent Representative of Chile to the OECD in 2018, Ambassador Morandé was a reputed consultant, both in Chile and abroad, advisor to financial institutions and member of the board of directors of several profit and non-profit organizations.